Perched on craggly cliffs above the Atlantic, north and west of Lisbon, lays a tiny strip of land with one of the most unique terroirs in the world of wine - Colares. The native grapes Ramisco and Malvasia de Colares thrive here, producing wines that express the singularity of the region’s old ungrafted vines, sandy soils, and direct ocean influence. These remarkable factors give Colares wines subtle, crystalline, and earthy qualities – light bodied, high in acidity, firmly structured, and very mineral - in need of several years of bottle age to show their underlying complexity. With dwindling vineyard land due to the demand for vacation homes in the area, Colares should be considered a Portuguese national treasure. 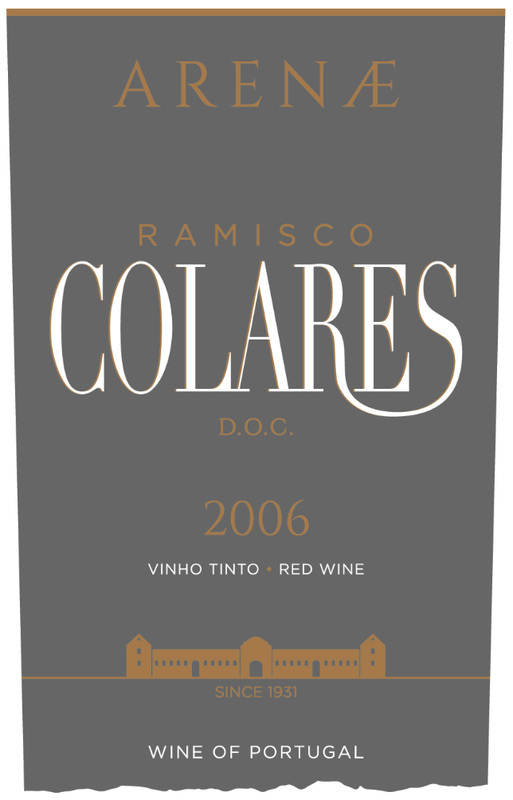 Known by many as the "Bordeaux of Portugal" in the early 1900's, right after phylloxera first attacked Europe, Colares became a source of fine wine due to it's sandy top-soils. Demand for the wines increased so much, that many growers started buying grapes from other regions in Portugal and labeling the wines as Colares. 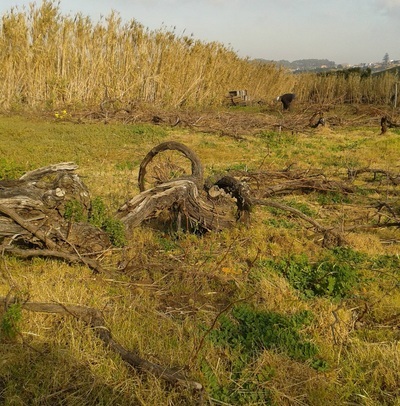 Naturally, the pirating of grapes didn’t last long, and the government introduced a new law to maintain the provenance of Colares grapes and wines - thus the establishment of the Adega Regional de Colares. 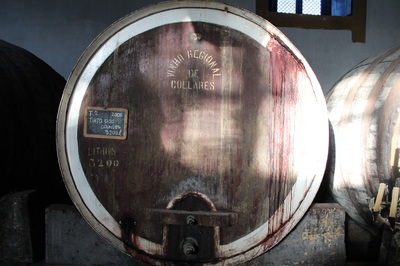 After being established in 1931, the ARC held the unique distinction of being the primary producer of Colares wine. From 1934 to 1994, as mandated by the Junta Nacional dos Vinhos, all of the wine in the region had to be produced at the Adega. In other words, many of the Colares wines in the marketplace today (even if they carry a different label) were made and are still being made by the Adega Regional de Colares. 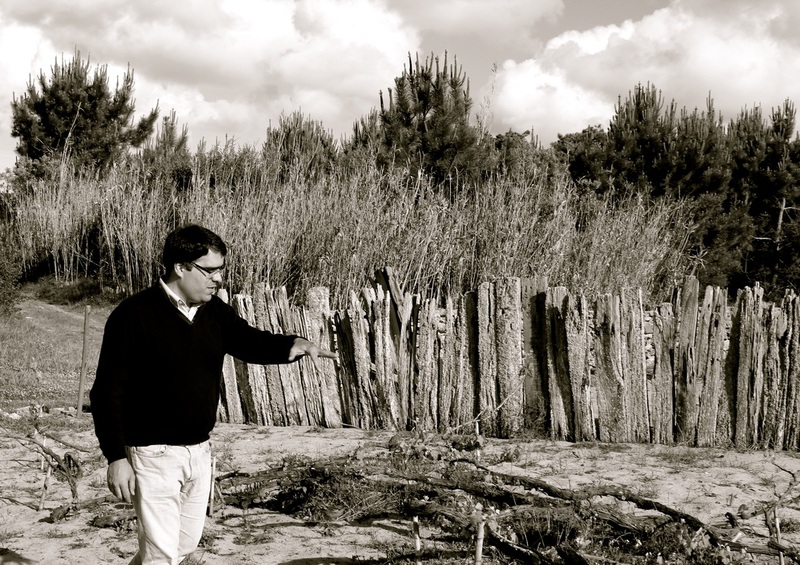 These days the ARC is led by Francisco Figueiredo, a young viticulturist/enologist from the area that is incredibly focused on preserving the traditions of Colares winegrowing. The ARC produce two different lineups of wine, one from the Colares DOC, called “Arenae”, which means sand in Latin. The other from higher yielding clay soils, called “Chao Rijo”, which falls under the umbrella of Vinho Regional de Lisboa. Both ranges are excellent, with the Arenae wines being truly distinctive and age-worthy, and the Chão Rijo wines made for earlier consumption and can be delicious to drink on their own. When speaking on Colares there is no way to get around the unique viticulture – as the vineyard work here is truly old school. No chemicals are used in the vineyards, and the vines are planted on their own roots or pé franco. Many vines are upwards of 100 years old. If there is a need to replant a vine, a hole is dug 4 to 5 meters down into the sand; a massale selection vine cutting is then planted directly into the clay subsoil; over a few years, as the vine grows, the hole is gradually filled back up with sand - an arduous and potentially dangerous undertaking. 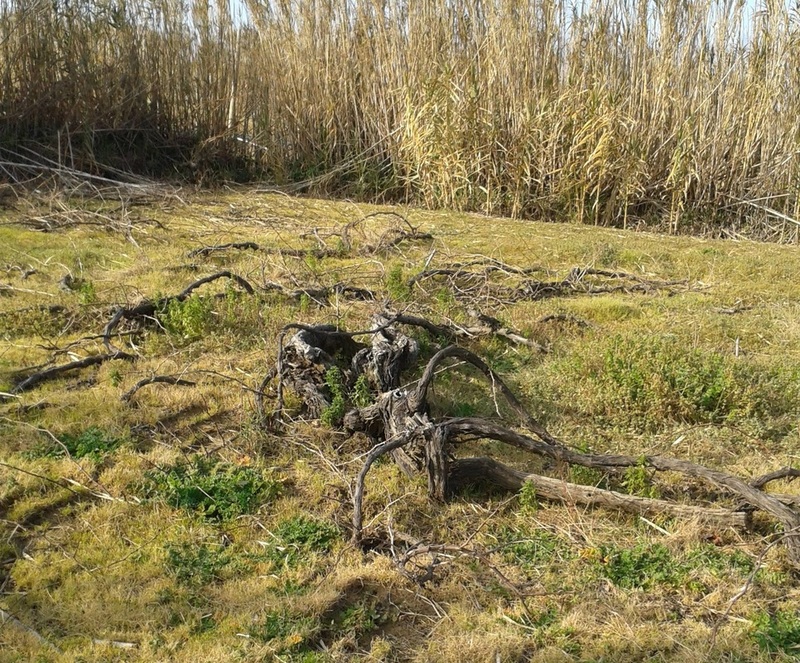 The vines are left untrained, running wild along the dusty sand - like giant snakes. During the summer months, from the onset of veraison, the vines are propped up with canes to keep the hot sand from scorching the grapes. To help tame the intense wind blowing off the ocean, each parcel is sectioned off with stonewalls and dry cane palisades. This is a viticulture based around wind, moisture, light intensity, and sandy soil. The growing season is long, with harvest happening generally around the beginning of October. 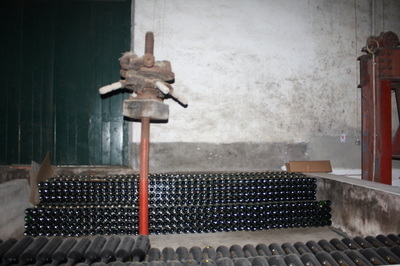 All work in the vineyards, along with harvesting, is done by hand. Francisco has introduced a few innovations in the cellar, including temperature-controlled vats for fermentation, a bit of skin contact for the white wines, and, in general, slower fermentations. 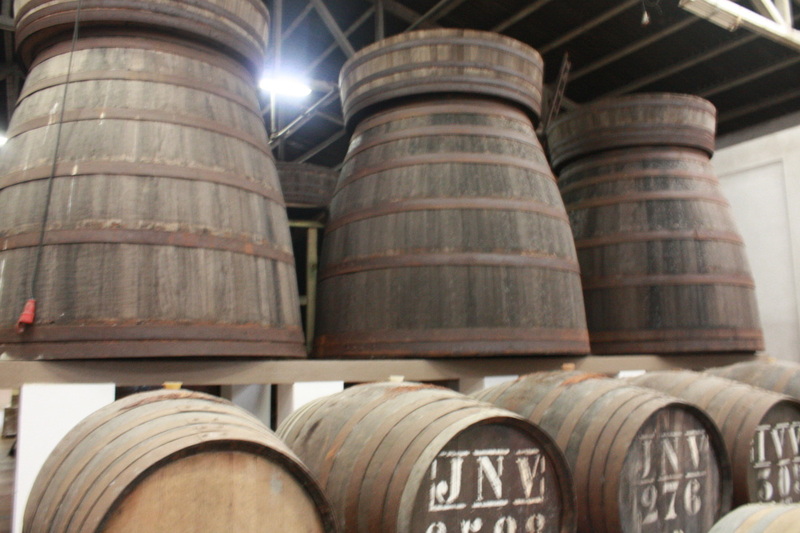 At the same time, he also maintains an old-school winemaking approach, utilizing natural yeasts, and large, old wood vats for aging, including century old Brazilian foudres. The commitment to quality shows, there is a sense of purity and authenticity in the wines that screams Colares and it's people. 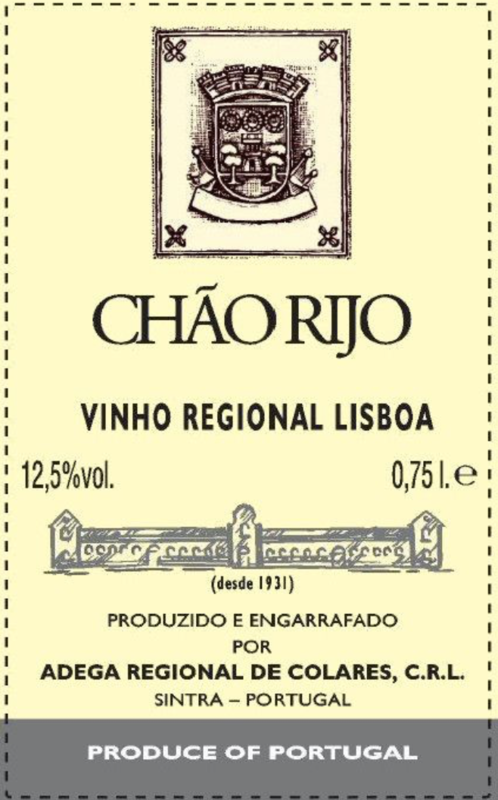 Chão Rijo Branco: Made from a field blend of native grapes - 60% Malvasia with roughly equal parts Jampal, Fernão Pires, and Galego Dourado – averaging 40 years of age and grown on Chão Rijo, or “hard soil” in Portuguese, the calcareous-clay soils around the town of Colares, Sintra, west of Lisbon. The wine sees a couple of hours of skin contact, and then is fermented and raised in the same vat for 8 months. The result is a lovely white wine with floral and marine mineral notes. A delicate wine to pair with sea creatures. Arenae Malvasia: From old ungrafted and untrained vines grown in the sand dunes of Colares, 110 meters above the Atlantic Ocean, west of Lisbon. 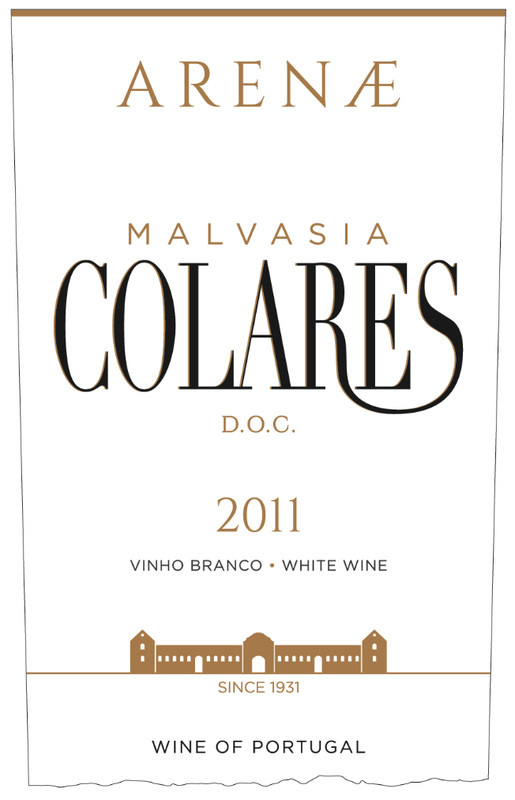 The grape is Malvasia de Colares, a native clone of Malvasia, that gives distinctly savory wines. 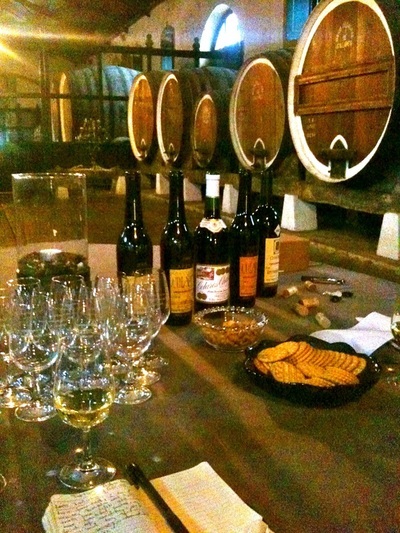 The wine sees 6 hours of skin contact, is fermented and raised in tank for 1 year, with a further 6 months in old foudres. A distinctive and mineral-laden wine that gets better over several years in the bottle and compliments richer seafood, rice dishes, and cheeses. Decant before serving. Chão Rijo Tinto: Made from a combination of 80% Castelão (also called Periquita in other parts of Portugal) and 20% Tinta Roriz (Tempranillo), average vine age 40 years old, grown on Chão Rijo - or “hard soil” in Portuguese - the calcareous-clay soils around the town of Colares, Sintra, west of Lisbon. The wine is fermented with 20% whole clusters in tank, and then raised for a year in 50% used barrels and 50% large old wood vats. The result is a lively, light bodied, earthy wine. A delicious wine to pair with an assortment of meats, rice dishes, and pastas. 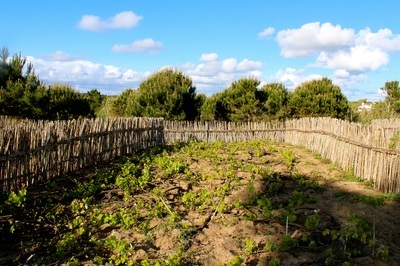 Arenae Ramisco: From old ungrafted and untrained vines grown in the sand dunes of Colares, 110 meters above the Atlantic Ocean, west of Lisbon. The grape is the native Ramisco, a grape that to our knowledge is not grown anywhere else besides Colares. It produces wines that are Atlantic in character: low in alcohol, complex, with mouthwatering acidity. The wine was fermented with 30% whole clusters with wild yeasts in vats, and then raised for three years in old Brazilian foudre, with an additional year in used barriques before bottling. A truly distinctive wine that pairs well with savory dishes, and that will improve with several years of bottle age.